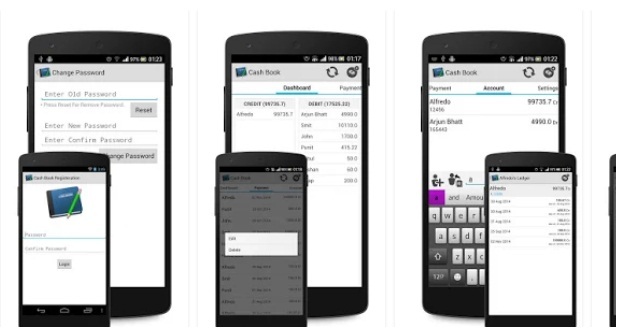 Cash Book Android Mobile App is the best business app, it will help the to maintaining credit debit accounts and personal ledger like Daily Cash. – You can get summary of cash flow. – Helps to maintain Ledger and Cash Book. – Helps in maintaining credit / debit transaction (entry) for account within General Ledger or Account Book. – Helps in getting Summary of current Credit Debit Summary. – Password authenticated for Security. – It is a free cashbook, you don’t have to pay. – Cash book Free and it manages all your ledges and reminders.